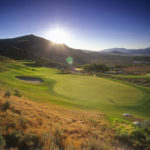 Nestled in northwest Carson City, Nevada our 18 scenic holes wind through the Silver Oak residential community and the Sierra Foothills. Spread out over 150 acres, this eighteen-hole public Silver Oak golf course features five sets of tees making Silver Oak enjoyable for golfers of all ages and skill levels. 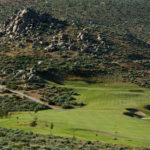 The Par-71 Silver Oak golf layout is 6564 yards from the tournament tees offering a fun but challenging experience located 25 minutes south of Reno and 30 minutes from Lake Tahoe. Silver Oak golf is perfect for all tournaments and company golf outings. A beautiful practice facility includes a driving range, practice bunker and putting green to make your visit to Silver Oak an enjoyable experience.